There’s no shortage of advice on choosing the right paper for your print project. Choosing the correct type of paper for your specific project is more about matching the objectives of your print marketing strategy more than anything. In other words, you want to match the type of paper you use with your marketing intentions. This will help ensure that you pick the appropriate type of paper versus just choosing the most expensive or the highest quality. Choosing the right kind of paper can be just as important as the colors and text that you utilize. Even with a helpful graph, deciding on paper can be slightly perplexing. Before worrying about the technical aspects of the paper such as GSM or weight, you will first have to decide the type of paper you actually need. This means choosing between a non-cardstock or cardstock. Cardstock is also called cover, index, or Bristol while a non-cardstock is referred to as text or bond. Obviously, you will choose the type of paper that naturally lends itself to the printing project you are working on at the time. 90 24 lb. Bond Works well for company stationery or business letterheads. 105 28 lb. Bond A decent choice for brochures and 2-sided printing. 120 32 lb. Bond Also great for brochures, presentations, and 2-sided printing. 145 67lb. Bristol This is an excellent paper weight to start for mailers and offers a soft, flexible feel. 175 65 lb. Cover Post Cards, Menus, and Posters. 200 110 lb. Index Average weight of an index card; used for heavier applications. 215 80 lb. Cover Typical Heavy card stock used for business cards. 255 140 lb. Index A noticeably heavier stock for more “heavy duty” applications. 260 100 lb. Cover Usable for flat cards and invitations. Quite often, individuals putting in print orders focus entirely on the way the finished product looks; however, you should also consider the feel of your print product in your customer’s hands as well. This is a factor of buyer impression that counts and could be the difference in gaining a new customer or having your print material thrown in the recycling. Paper should be your first consideration when rounding up your next print project. With the numerous options available in paper choice for your print job, you should plan well ahead of the project to obtain a better idea of what you need. Likewise, by knowing exactly what type of paper you need for your next print job, you’ll have more time to collect and consider quotes from different printing companies. 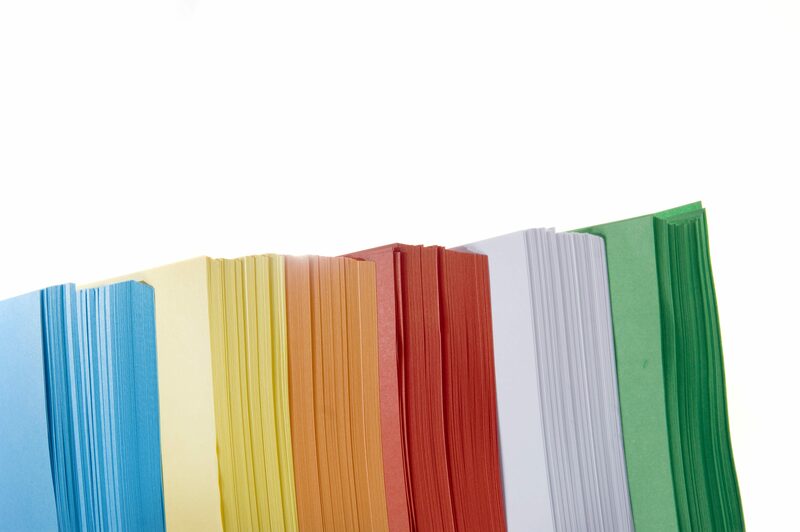 Choosing the right type of paper for your job can quickly become confusing. Luckily, our team at ACME Printing are available and willing to spend the necessary time walking you through your print project and will happily advise you on the best paper type for your specific print objectives. Just give us a call at 423-581-8534 or click HERE, and we’ll be glad to help you.